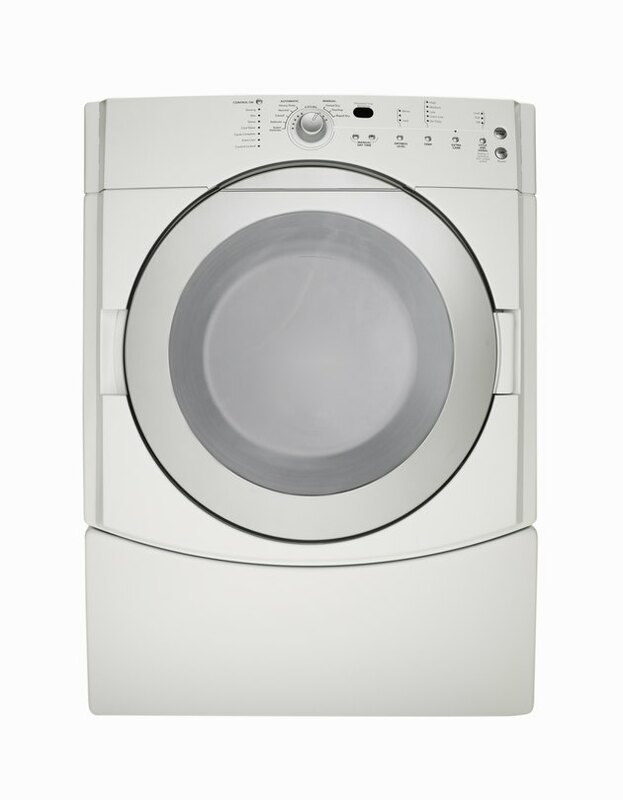 Whirlpool dryers spin your clothes in a heated drum to remove wrinkles and water. During the spinning process the clothes dryer makes a certain amount of noise due to the high speed the machine spins and the load of the clothes. Some squeaking may occur even when your dryer is properly working. Loud squeaks, however, may indicate a larger problem. Troubleshooting the dryer load and some of the moving components to eliminate the squeaking sounds will save the cost of a service call. Squeaking may be come from the dryer's belt. Open up the dryer door if there are clothes in the Whirlpool dryer and redistribute the load so that it is even. Turn on the dryer and listen for the squeaking sound. Open the door and inspect the outer edge of the drum for signs of foreign objects, such as coins or paperclips. Turn on the Whirlpool dryer and inspect it for shaking. Make sure the dryer is on level ground. Remove the screws from the top panel at the back of the unit. Pull the top panel off. Turn the Whirlpool dryer drum to inspect the belt. If it is out of its track it may squeak. Turn the drum while guiding the belt back into the groove.